From your Home Page, click View Clubs. You can use the controls at the top of the screen to search or sort this list. To edit information pertaining to any of the club(s), click the icon in the Edit column. Click the icon in the Edit column of the club to which you wish to make edits. 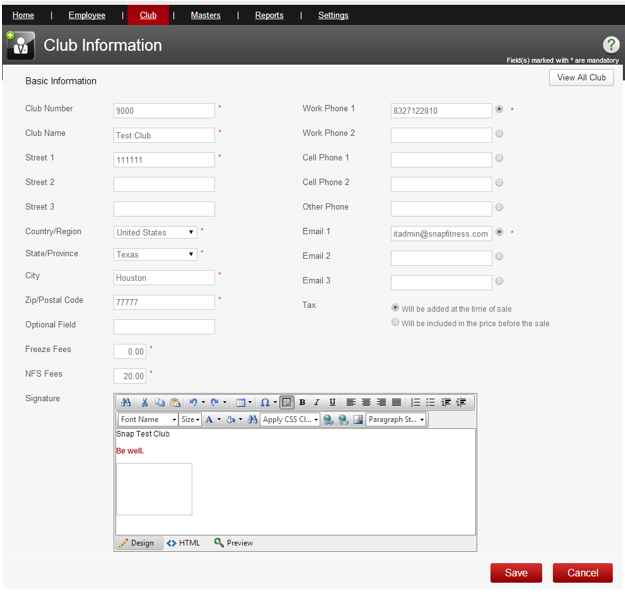 You may edit certain information about your club(s), as shown above.